Can you get local channels on the Sling app on AppleTV? 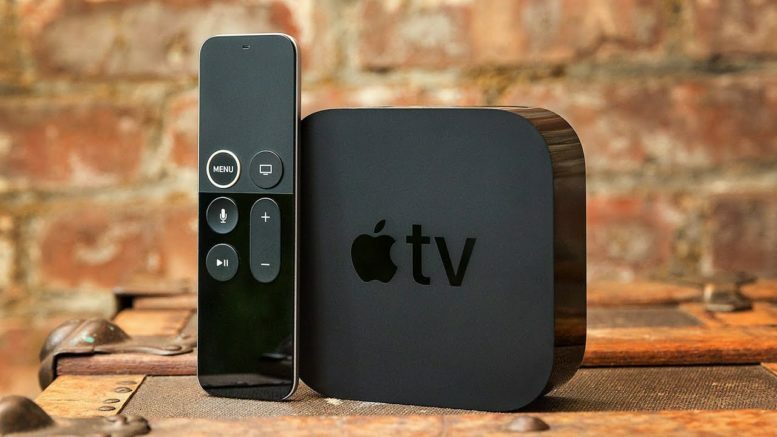 In the last few years the AppleTV box has become a little hard to like. While it certainly does do what it promises, it’s gotten to the point where it’s now up to four times the price of comparable hardware from Amazon and Roku. I hate to say it but it’s even harder to like in the 4K form, where you find the features that pretty much every smart TV brings for free and that Roku’s sub-$100 box does nearly as well. The good news for Apple is that their box does have a full complement of cord-cutter necessities. Netflix, Hulu, Prime Video, DIRECTV NOW, and Sling are all easy to find, although for whatever reason none of them are loaded by default. But a true cord-cutter will want access to free TV channels and here’s another way the Apple TV doesn’t quite cut it. I’m very fond of this AirTV device. It pretty much defines “set it and forget it.” Sitting quietly anywhere it can reach Wi-Fi and an antenna connection, it does its one job with stunning precision. All it does, and what it does so well, is stream your antenna TV to an app. That app can be on a streaming box, a phone or a tablet, and it can be anywhere on the planet. I love the idea that you can put this little box in your home and get antenna TV on every device. I love even more that you can get antenna TV when you’re traveling. If you have an internet connection, you have your local channels. Period. Even if you’re in a different time zone or halfway around the world. Let me set the record straight. You can get your local channels on AppleTV if you have an AirTV. You will need to use the AirTV app and create a free sling account (you don’t need to pay for programming.) That’s fine if you’re only going to watch free TV. Realistically most cord cutters do want some sort of national live streaming package. If you’re using the AirTV box the natural choice is Sling. Use the Sling app on your phone and you’ll see both local and national channels on one guide. Connect a hard drive to the AirTV box and you can have DVR service through that one app. I have to imagine that this has something to do with Apple’s extremely restrictive licensing process. Obviously you can do it with the AirTV app, but you can’t do it with the Sling app. I just don’t understand that. Perhaps because the Sling app is designed to be a portal to a paid service or something. I have to say I’m not quite sure. So I hate to say it, but if you’re planning a future as a cord-cutter and that future includes both Sling and free antenna TV, you’ll probably want to avoid AppleTV for now and go to Roku instead. You can even get one of those Roku smart TVs and have the functionality built in. If you’d like to learn more about AirTV or the Sling app, give our techs a call at 877.312.4547 and they’ll be happy to help! Nothing to watch on TV? Get an antenna! How tight should your connections be? What’s the best mounting method for an antenna?